The last 7 days were incredible. For the entire last week, I had only 24 sleeping hours (that is about 3.5 hours per day!) Now, that was a real test to my mental and physical endurance. It started last Sunday night when I had to work at the Macau Airport (with Desmond and Taiwan Chen) from 1pm till 11pm (only back at home to sleep at 3am on Monday morning). At 8am the same day, I had an early morning meeting and in the afternoon, I brought a team of UK consultant to visit the Chinese borders until 7pm. The next day (Tuesday, from 3pm to Wed 3pm), I clocked my longest 24-hour conference room confinement (working on a non-sleep 24-hour marathon for a business proposal with 3 very sleepless beauties). Right after my stint with the 3 ladies, I had a short gathering (from 3-6pm) with 3 creative hunks from Singapore – Randy and friends! Thursday and Friday weren’t so bad. I just have to pack and moved to a new office space. This is also the week when I received the most visitors! 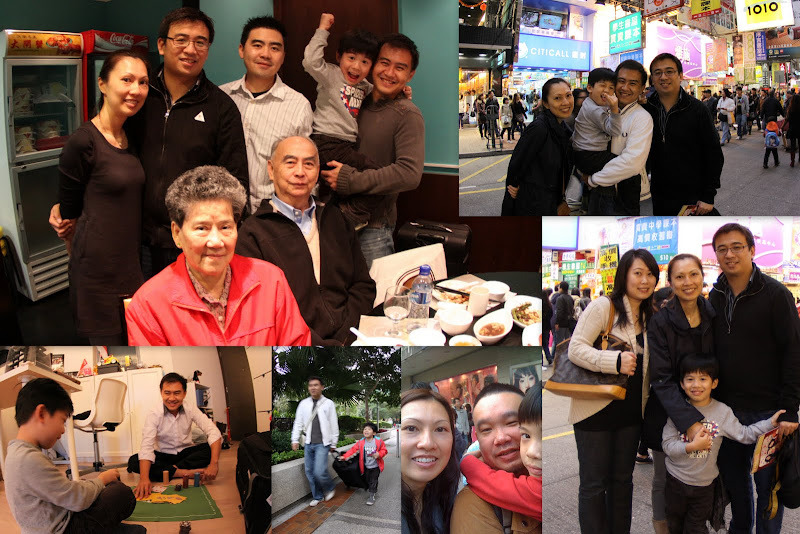 (78th – 83rd) Desmond, Chen (Taiwan), Randy, Cousin Chee Bin, 3rd Uncle and Auntie, Alicia and Chern Hui were all here! Friday to Sat was another non-sleep 24-hour, starting from Friday 6pm to Sat 12am. Cousin Chee Bin and I were having our round of fun in Macau from 6pm to 7am. And at 9am, I joined Felicia and Elkan in the school for “Meet The Parents Day”. And at 2-4pm, we met Cousin Tao and his parents – 3rd Auntie & Uncle. It has been 4 years since we last met in Singapore! They flew in from Canada the night before. At right after the lunch, we caught up with Alicia Gan (from Shanghai) at Mongkok and later in the night, the usual HK Clan joined us for dinner and movie at my place until 12am!Surely, it has been a really packed, back to back itinerary for me. Not so bad… I still look fresh in these photos! Hope this isn’t the norm for me in the year 2010. Come next week – More visitors! Here comes Wendy and Echo…and maybe Kalinda…who knows.